Women's Suffrage research papers examine women's civil rights topics such as a woman's right to vote. 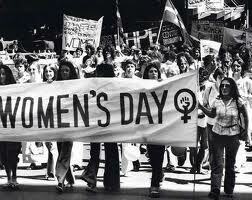 The rights of women around the globe have never been assumed as equal to those of men. Typically in societies, women have had to struggle to achieve recognition as having the same legitimacy as that of men. Certain rights are of great importance because they empower the possessors of such abilities specific freedoms. For example, the right of ownership enables women to be selective in marital arrangements and in determining much of their own fate. Perhaps, the most powerful right, however, is the right to vote. Within the context of a democratic society, this simple right enables women to select representatives that will address their concern in legal and legislative forums. Thus, the right to vote enables women to win or secure other rights. In the United States, women did not achieve this right immediately. Unfortunately, the right of women to vote in an election came about in 1920. The purpose of this research paper is to examine why women’s suffrage was a difficult right to win. Throughout American history women have repeatedly requested and demanded the right to vote. Generally, they were refused. One of the first recorded mentioning of the request for women’s voting privileges came from Abigail Adams, who was the wife of the second president. She asked her husband in a letter to not to ignore the right to vote for women. She essentially said that if women cannot vote, then they would have no reason to follow the new laws. Paper Masters writes custom research papers on Women's Suffrage and examine women's civil rights topics such as a woman's right to vote.